A Return to Love (1992) is a powerful call to surrender yourself to a higher power in the universe by rejecting your ego and embracing love. 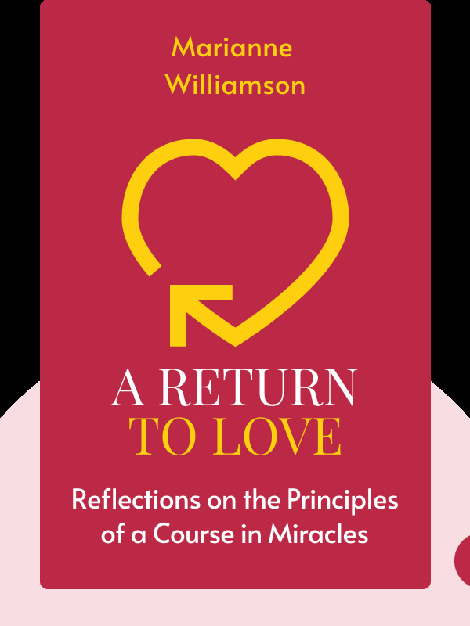 Marianne Williamson’s thought-provoking message shows us how to let go of the fears and resentments that suppress the love we all carry within us. Her practical steps will help you improve your relationships, career and overall happiness. 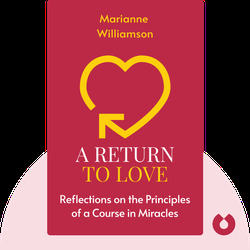 Marianne Williamson is an author, spiritual teacher and founder of Project Angel Food, a meals-on-wheels program in Los Angeles. She is also involved in the Peace Alliance and the RESULTS organization, both of which strive to end poverty and promote peace in the United States and around the world. Many of her books have been New York Times bestsellers, including The Age of Miracles and Healing the Soul of America.